Bedtime Stories: A Christmas Classic! How the Grinch Stole Christmas by Dr. Seuss. Did you know there was a doctor before Dr. Who? That’s right. He was named Dr. Seuss. Perhaps you have heard of him. He recently got lots of coverage for his book Green Eggs and Ham being read on the floor of the U.S. Senate. Well before that day, he wrote this Christmas book which I’ll bet everyone but me read long, long ago. 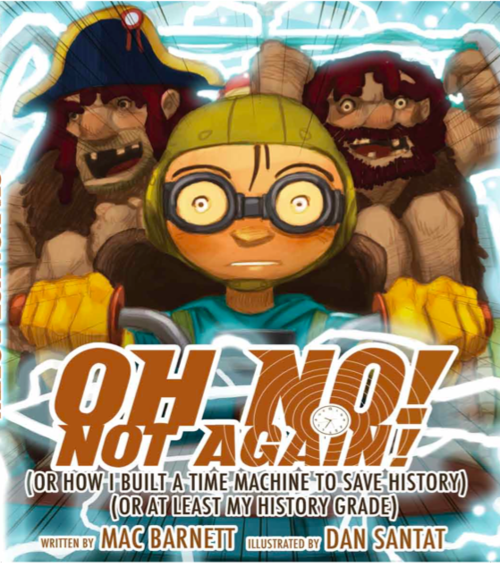 It has been turned into both a live-action and an animated movie. 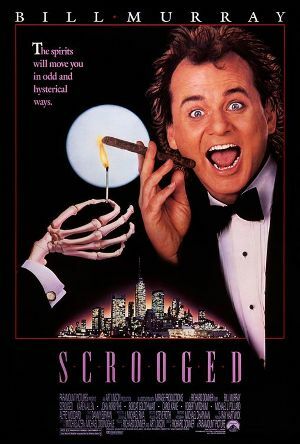 It’s got a soundtrack whose songs appear on occasional Christmas mixes and it is firmly embedded in our culture. Verily, anyone who vocalizes a dislike for the season is promptly labeled either a Scrooge or a Grinch. I haven’t seen the movie, but I’m going to assume the book is better. Full of that holiday redemption that people just eat up this time of year, what better moment than the Grinch’s realization that Christmas isn’t just about getting stuff? (Well, in theory, at least) Watch his heart grow three sizes! Watch him join the Whoville inhabitants for roast beast! Fun for all ages. 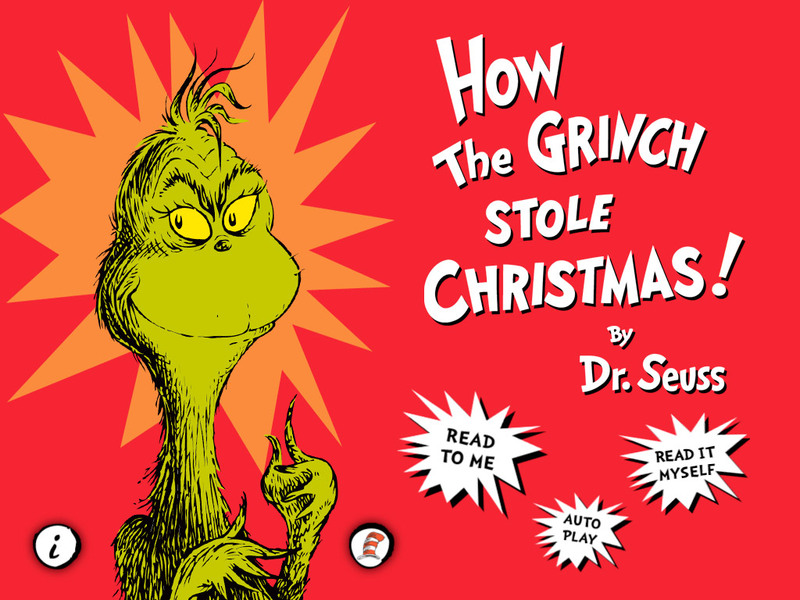 Posted in Bedtime Stories	| Tagged bedtime stories, Charles P. Rogers, Children's Book Review, Dr. Seuss, How the Grinch Stole Christmas	| Comments Off on Bedtime Stories: A Christmas Classic! 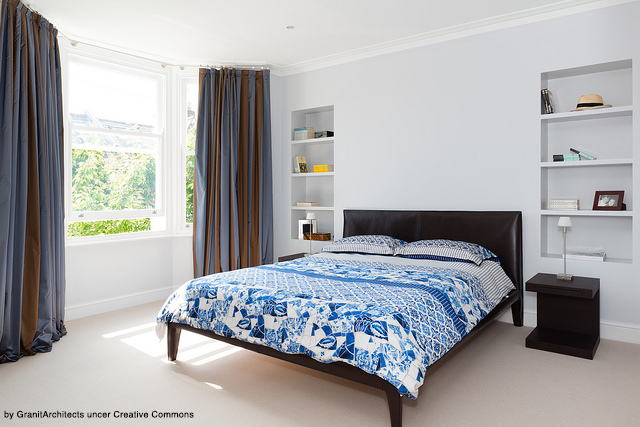 The opportunity to redesign your bedroom (or any other room in your house for that matter) can be as exciting as it is stressful, especially if it’s your first design project. Whether you’re decorating a brand new home, are undertaking a complete remodel or are just making a few simple tweaks to an existing room, there are a couple common design mistakes that you can avoid to ensure your space turns out even better than you imagined it. One of the most common design mistakes is to over-furnish your space. Over-furnishing can happen in one of two ways, either by (1) trying to cram too many individual pieces of furniture into a space, or (2) by selecting furnishings that are simply too big. Furnishing a room is a balancing act: you need enough furniture for the room to serve its purpose, but you also need to leave enough space to create movement in flow. To avoid over-furnishing your bedroom, always err on the side of less. In the bedroom, stick with the basics first: a bed, two nightstands, and maybe a nice armoire. If you find the room still feels empty after you get the basics situated, you can always add more. Think of furnishing your bedroom as more of an adventure than a destination, and enjoy the journey. 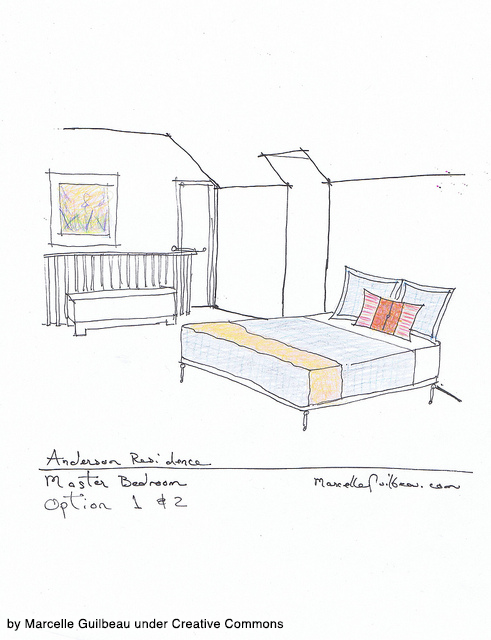 Check out my article on balanced bedroom design for a closer look at this important design element. Bedrooms suffer from poor lighting either by not having enough of it, or having too much. To block out unwanted outside light, be sure to use heavy window treatments that are easy to operate. Once you have the amount of light you let in under control, you can then think about artificial light. It’s best to have a variety of lights. Variety can mean different color temperatures of light, different intensities of light, and different heights of lighting (floor lamps, table lamps, wall sconces, and overhead lights). I’ve written about the basics of bedroom lighting in the past, and encourage you to revisit that article to learn more about lighting. Your budget is probably the least fun part of designing your bedroom, but it is also the part you have the most control over. Instead of thinking of your budget as an obstacle, think of it as a game. With a little creativity, you won’t have to break the bank to create the bedroom of your dreams. Flea markets, antique stores, and auctions are all great places to find deals on bedroom furnishings and accessories. One of my favorite resources to find deals on all sorts of things is Live Auctioneers, a website that enables you to participate in live auctions all over the world. While shipping can be expensive for larger items, you can still find great deals (with reasonable shipping) on all sorts of accessories like lamps, artwork, and other accent pieces. If there is something you like that you can’t find elsewhere, try making it yourself. DIY projects can be a great way to get exactly what you want for less, especially if you are a bit crafty. One thing you don’t want to try to cut corners on, however, is the bed. Since the bed is the whole point of having a bedroom, be sure to get a quality mattress. We spend nearly one-third of our lives in bed, and a comfortable mattress is an investment in your health and well-being. Be sure to check out my previous article for tips on how to create a luxury bed at home. After all the Thanksgiving foofaraw and pumpkin pie overdoses, I craved a somewhat lighter breakfast. Deep in my fridge, behind the neatly-stacked containers of leftover turkey, stuffing, mashed potatoes, and candied yams, I came across a forgotten bag of Tuscan kale. Perfect! I had homemade dipping oil on hand and remnants of a hearty, rustic bread round. Some finely-chopped shallot sautéed in the seasoned oil and a handful of grated parmesan would give my dish a Tuscan-inspired flavor. Score! 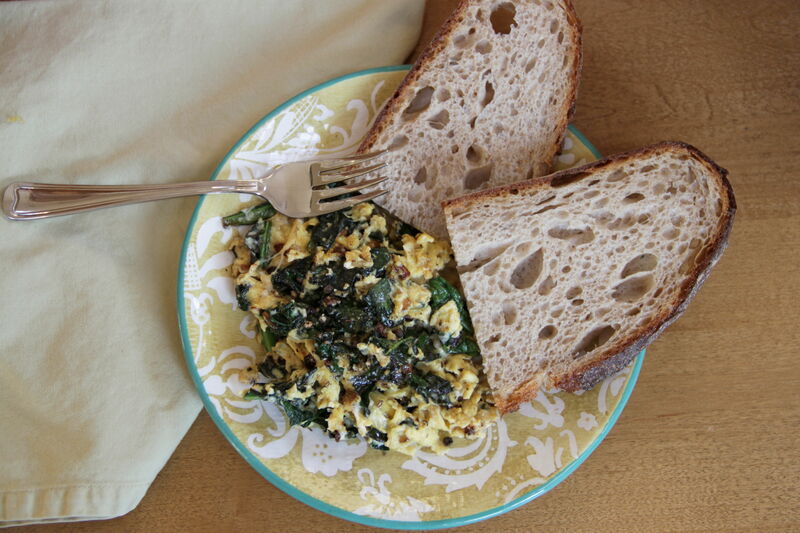 The kale turned out delightfully spiced and crispy – the perfect foil for rich, fluffy eggs. Little bits of near-caramelized shallots and peppery heat from the oil perked it all up. I used my rustic bread, shovel-like, to scoop and gobble it all up. Maybe not as light as I would have liked, but green and compelling nonetheless. If you want to try the Homemade Dipping Oil, mix it up a couple of days in advance to allow the flavors to meld. 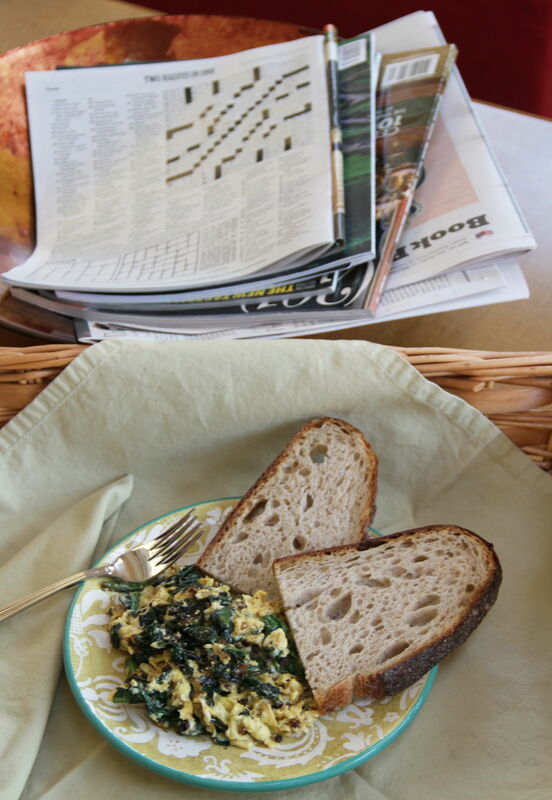 Then you’ll be ready to fry up some shallots and kale for a (maybe-not-so-light) Tuscan-inspired breakfast in bed. Heat seasoned olive oil in small, heavy pan over medium heat. Finely chop shallot and sauté in hot oil until softened, 1 to 2 minutes. Wash, chop and dry kale. 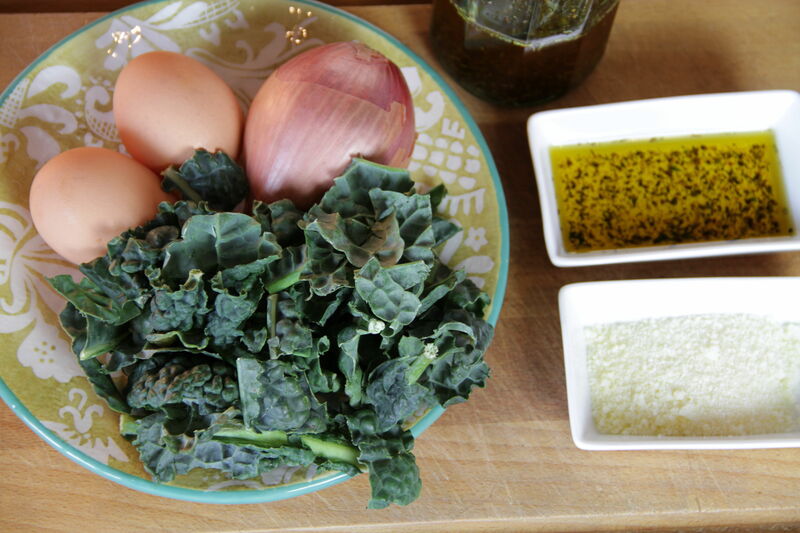 Place kale in pan and cook until cooked through and starting to crisp, stirring occasionally, about 6 to 8 minutes. Reduce heat to medium low. Break eggs into small bowl and whisk well with milk or cream. 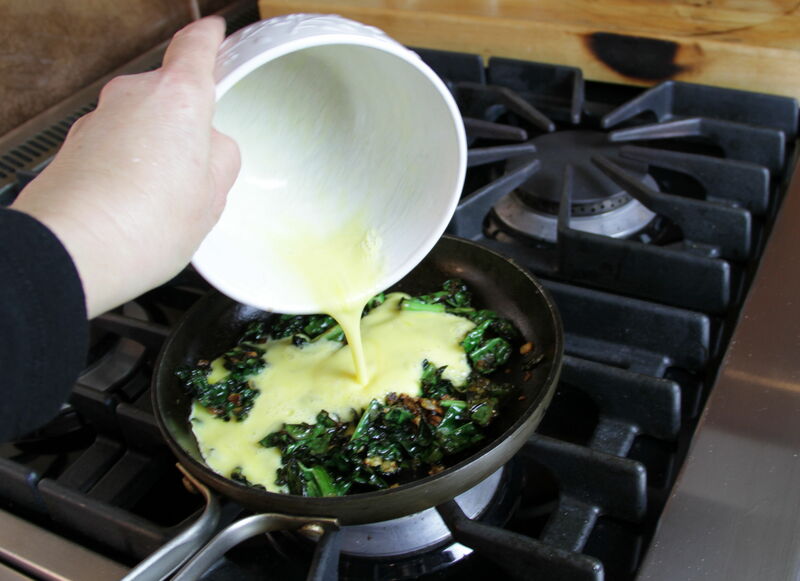 Add eggs to heated pan and allow to cook slowly and gently, folding over around kale. Stir and lift frequently with wooden spoon to avoid sticking. Toward the end of cooking, fold the parmesan cheese into the eggs, if you like. Season with salt and pepper. Slide eggs out onto plate. Serve immediately, with a thick slice of rustic bread. Mix all ingredients together and store in airtight glass bottle. Shake before pouring, and add a drop of balsamic vinegar for dipping bread.